How much ice did you ever see in one place? An ice tray full? 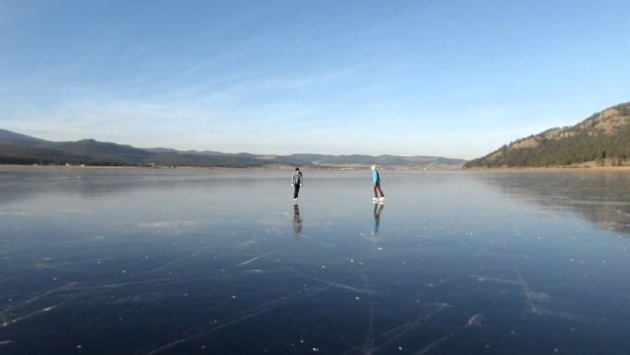 A skating rink full? A pond full? A river frozen from bank to bank? That's a lot of ice. But there are places in the world where there is more. Much more. You know how high mountains are. There are places where the space between mountains is crammed and jammed and packed full of ice. This kind of ice is called glacier. This video simply explains how glacier is formed. Glaciers are the jewels that mountains wear. Sometimes they are as blue as sapphires. 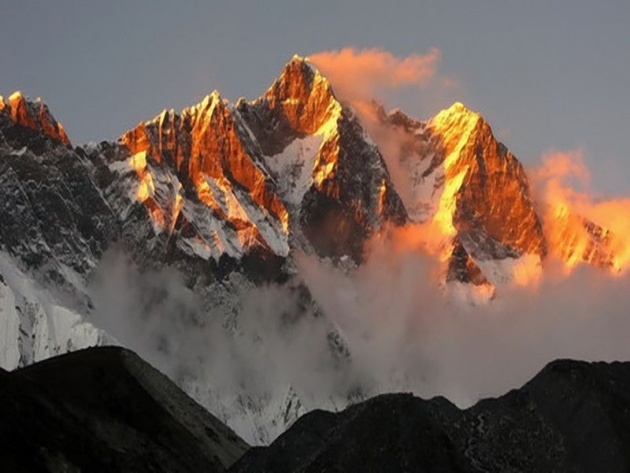 When the sun shines on them, glaciers may look like gold. At sunset they may look sparkling ruby red. By starlight they're all diamonds and silver. How did all this ice, this glacier, get up there so high in the mountains? First, snow fell on the mountains. High up, where it is always very cold, some of the snow never melts, not even in summer. More snow kept falling on the snow that was already there. Year after year the snow grew deeper. There was another thing that helped make the ice. In the summer some of the snow on top was melted by the sun. The melted snow water sank down, mixing with the bottom snow and freezing it. This packing and pressing and freezing kept on until the whole mountain valley was solid ice - a glacier. That's another surprising thing about a glacier. It moves. You might say that a glacier is a river of ice moving between the mountains. It doesn't move as fast as a river. It moves so slowly you can't even see it move. Usually it moves no more than a few feet a day. But it keeps moving, and finally it gets somewhere. 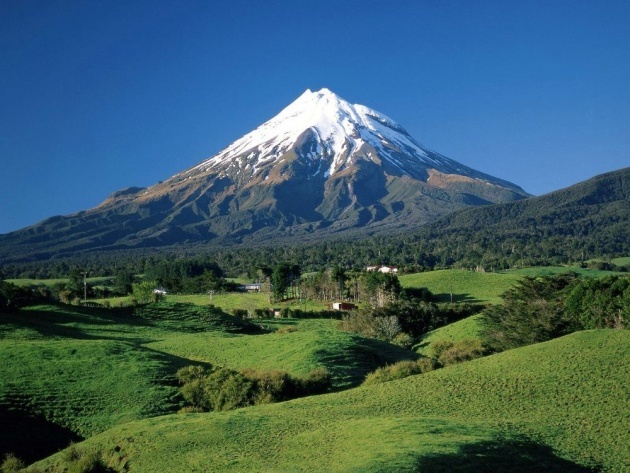 It scrapes the sides of the mountains as it moves and tears of chunks of rocks as big as a house. Big rocks, little rocks, sand, and clay - they're all scooped up by the moving ice and carried along. As the glacier moves down the mountain into warmer weather, the ice begins to melt. The icy water rushes into streams, and the rocks and sand are dropped wherever the glacier melts. But sometimes a glacier moves down a mountain that is next to the ocean. When this happens, huge chunks of the glacier break off and go plunging into the water. 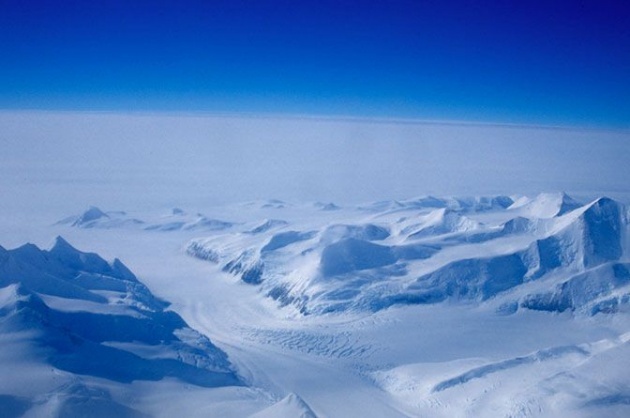 And the glacier, which was once a river of ice, becomes many floating islands of ice. 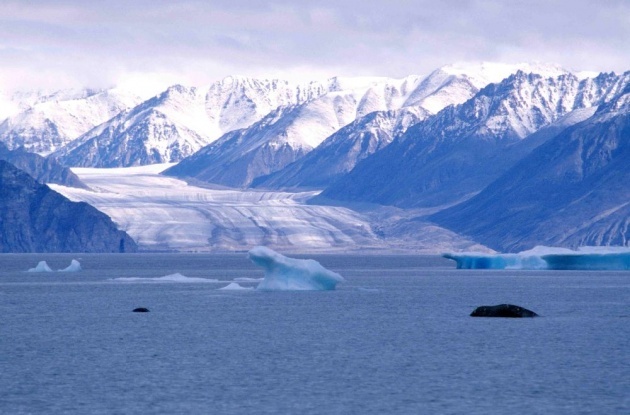 These giant floating pieces of the glacier are called icebergs. Something you'd probably never guess about an iceberg is that the big chunk of ice that floats above the water is only a small part of the whole iceberg. Most of this floating giant is underwater and doesn't show. 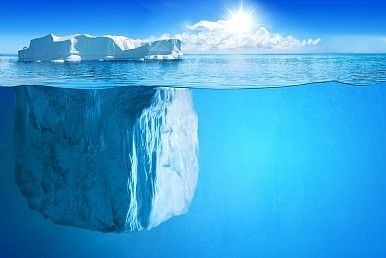 This picture shows you the rest of the iceberg, the large part that is hidden beneath the cold water. 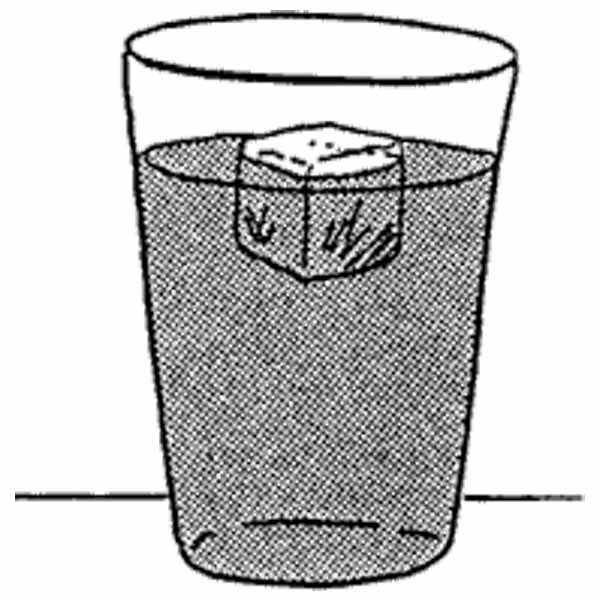 If you would like to see the way an iceberg floats, here's an easy experiment you can do at home. Get a glass of very cold water. Drop an ice cube into the glass of water. Looking through the outside of the glass, see how much of the ice is above the water and how much of it is below. Your piece of ice floats exactly the way an iceberg floats. Iceberg look like islands of ice. But when you think about it, icebergs really are not like islands. Islands go all the way down to the bottom of the ocean. They must stay where they are - they can't float or move. But icebergs float and move. Icebergs also melt and disappear. They melt when they float away from freezing waters to warmer waters under a hot sun. Some icebergs look like giant wedding cakes, while others look like shining white castles. When they catch the red and gold colors of the sunset, they all look like giant flames. But these same beautiful icebergs are very dangerous when they float, big and silent, into the path of a ship. Many ships used to be wrecked because they hit an iceberg floating in the ocean. Today this hardly ever happens. 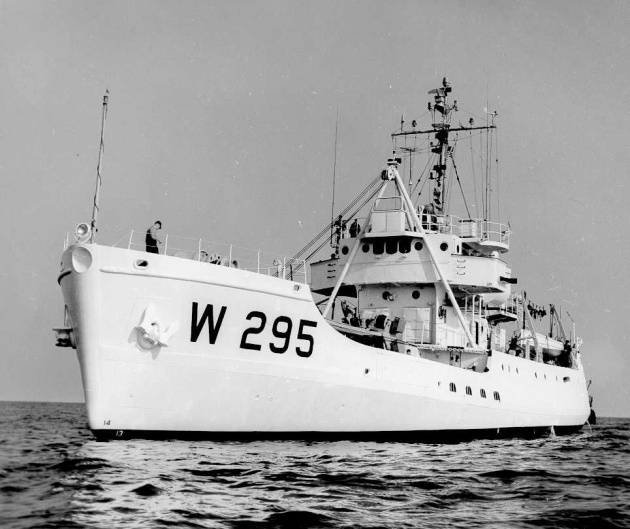 Now there is a special fleet of small ships, called the International Ice Patrol. These small ships do nothing but look for icebergs that other ships might run into. When one of the patrol ships sights an iceberg, it radios a warning to all the ships in nearby waters. Sometimes iceberg patrol sailors break up an especially dangerous iceberg with explosives. That makes many big splashes and keeps the ocean safer for ships, because the broken-up iceberg melts faster. But next spring more icebergs float down from the Far North, and so the iceberg patrol keeps watching. This video is an actual example of a glacier avalanche. Glacier avalanches have a great capability to claim lives and destroy properties, like this bus (image below) in Yungay, Peru, which was ripped apart by the earthquake-induced Huascarán avalanche that killed thousands on May 31, 1970. Peruvians have experienced the most deadly glacier disasters in the world. Almost 25,000 people have been killed around the Cordillera Blanca all from glacier avalanches and glacial lake outburst floods (GLOFs) since 1941. A very destructive flood occurred in April 2010 from Mount Hualcán and Lake 513, which caused significant damage in the town of Carhuaz. Unfortunately, dangerous conditions like this continues as Lake Palcacocha which is above the city of Huaraz grows steadily and as new lakes form, such as the one near Lake Artesoncocha which is above the city of Caraz. May the government of Peru be guided on what to do to solve this glacier avalanches problem and lessen or even fully stop the adding of casualties caused by this deadly disaster. Just like glaciers, icebergs also pose the same danger only in a different setting - in the ocean. 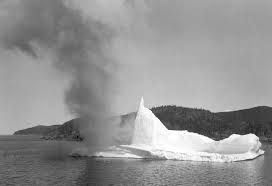 100 years after the Titanic hit an iceberg and sank in icy waters 375 miles south of Newfoundland, the dangers of vessels striking an iceberg continue. Many believed that Titanic struck a small to medium size iceberg. 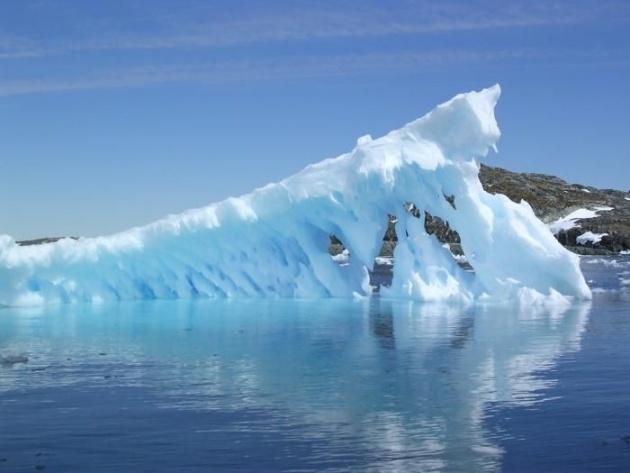 Despite improvements in detecting icebergs and more accurate ship positions, and also warmer waters melting the icebergs faster, ships continue to have close encounters with icebergs. RMS Titanic departing Southampton on 10 April 1912. This illustration shows RMS Titanic sinking. Beside it is the iceberg it hit. To understand more about the danger that icebergs cause. I recommend that you watch the movie "Titanic". It is a fictionalized account of the sinking of the RMS Titanic. This is one of the film's scene showing the ships collision with the iceberg. As you've read, seen and watched a lot of things about ice in this blog. Maybe you will agree that it can be a jewel and a killer depending on the situation. 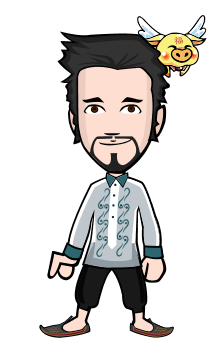 hi, Rex! :) wow! nice pictures! Hello! Good day to you. Buzzed. Pls buzz back.